Recently, I had a conversation with the CRO of an exciting SaaS startup. He had just built a sales development team and was frustrated with the results to date. Prior to his current role, he was Director of Sales for a well-established, big name company. Now at a startup, he faced no name recognition and next-to-no inbound marketing support. Sales development is not one size fits all. That conversation is far from unique—I have them all too frequently. 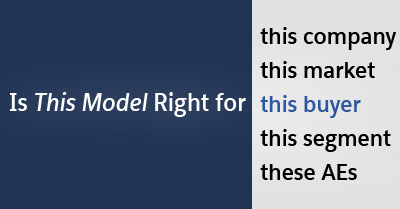 So much so, that I created a framework to help companies think through their implementations. Let me set the stage a bit. What's the Minimum ASP Where Sales Development Makes Sense? It’s safe to say that the sales development function is here to stay. Companies, conferences, and careers are being built around the SDR movement. If your average sales price is $100K+, sales development is a no brainer. At $50K, it’s most definitely a yes. But what about $16K? Or $8K? $4K? What is the minimum ASP where “doing sales development” makes sense? Even in our Inside Sales AE research and SDR research, we’ve never tackled this specific question. But by combining the two data sets, I think I’ve come up with a pretty good answer. You can follow my math below or skip to the end number here. (Note: I’m not commenting on growth versus profitability. See Mark Suster, David Skok, and Danielle Morrill for that.) I’m trying to answer a more straightforward question. If I spend $250K on sales development, by how much should revenues increase? To get there, we need to step through four questions. 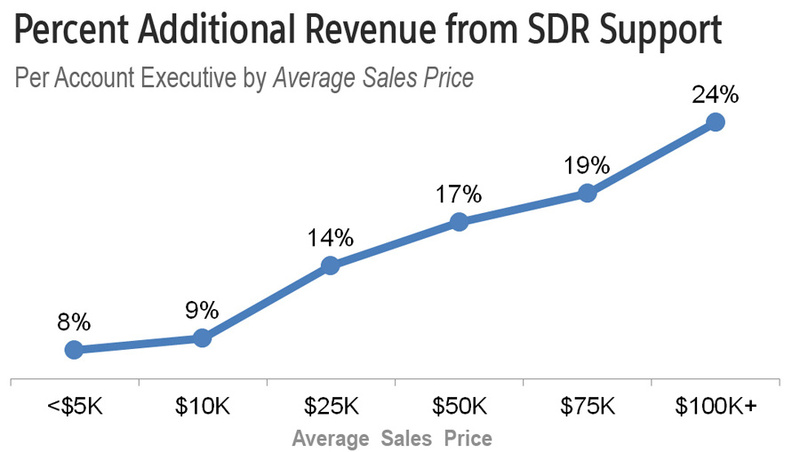 "The corporate SDR is accountable for booking sales demos across all verticals for the closing representative. They will be responsible for proactive calling and lead activity management owning the prospecting stage from . . ." Zzzzzzzzz. After a scan of more sales development job descriptions than I can count, I can tell you that’s how the vast majority sound. In a word: dreary. They are about as captivating and inspiring as the operating manual for my toaster. 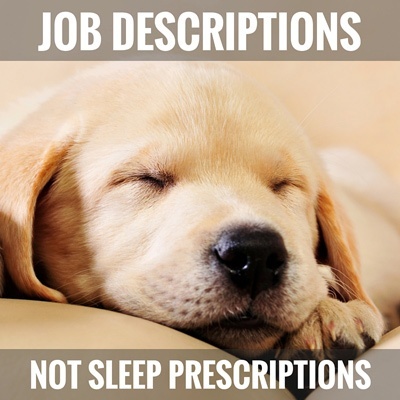 Most of us were taught that a job description should, well, describe the job. But that’s totally backwards. A job description should sell the job. If you can’t capture attention and interest, who the hell cares about the fine print. Your job descriptions are content assets that should be attracting top talent. If done well, you’ll be selling the sizzle, while every other hiring manager will be documenting the chemical makeup of the steak. Sales development as a function, role, and profession has seen serious change lately. In recent years, we’ve had a significant rise in stature, a host of new SDR-focused technologies, and even a conference all its own. One constant is a thirst for the metrics behind the sales development function. To make sense of the changes and trends, we researched and collected insights from 355 B2B companies. Our 2016 Sales Development Metrics and Compensation report is available today, and we have a ton to share with you.